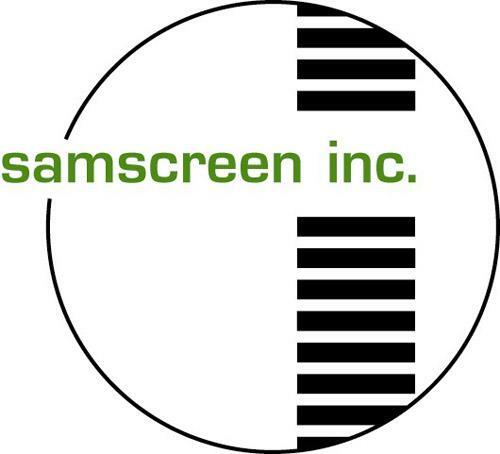 Samscreen Incorporated, founded in 1994, has quickly established itself as the premier supplier of portable screening media made in the United States. The company provides screening media such as; Pianowire (Harpscreen), Punch plate (Perforated Plate), Woven Wire, and Heavy Duty Grizzly Finger Decks (GFDs), Grizzly Scalper Decks, Trommel Screens, and Shaped Wire. At the same time, Samscreen continues to make innovative strides in the marketplace, as noted by its use of Maxwear(TM) technology. More information about Samscreen can be found on their website (www.samscreen.com) . Samscreen provides screening media such as; Pianowire (Harpscreen), Punch plate (Perforated Plate), Woven Wire, and Heavy Duty Grizzly Finger Decks (GFDs), Grizzly Scalper Decks, Trommel Screens, and Shaped Wire. Solids processing and bulk material handling equipment, including milling, classifying, compacting, granulating, feeding, flow-controlling or drying machines and components used to process powders or other bulk materials. Equipment and components used for specialized applications. Some examples include wire straightening, lubrication, and the creation of extrusions, pultrusions, castings, and molded shapes.